Not Firing at the Enemy? 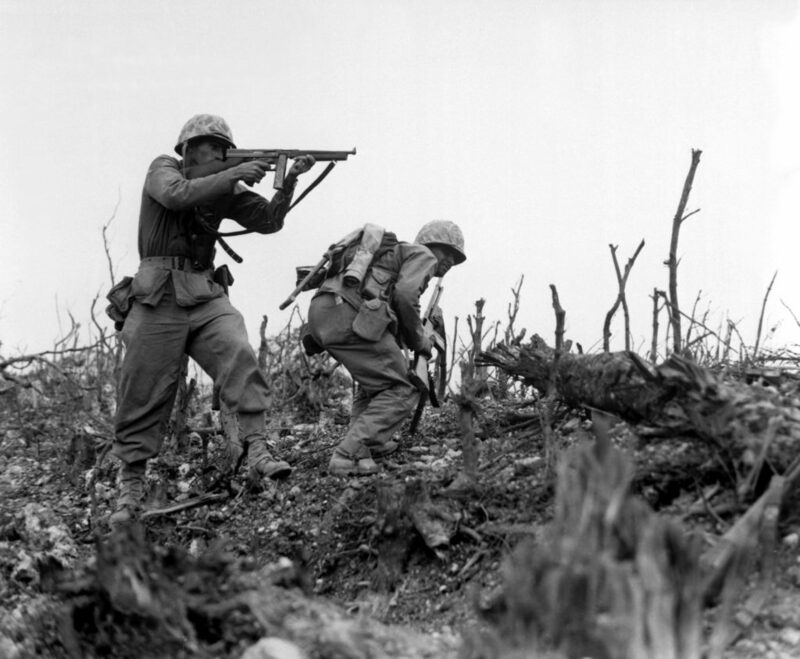 Did the majority of U.S. riflemen in WWII deliberately not fire at the enemy? A controversial study by Brigadier General S.L.A. Marshall, based on interviews with thousands of soldiers in more than 400 infantry companies immediately after they had been in close combat with German or Japanese troops, concluded that only 15-20% of the men actually fired at the enemy. Some analysts of these WWII reports suggest that key weapons, such as flame-throwers and machine guns were usually fired. But the majority of individual riflemen, when left on their own, appeared to have been unable or unwilling to kill. Marshall’s study has been criticized for design flaws and even data amplification or outright fabrication. Several other studies, however, have added some support to Marshall’s findings. – A questionnaire distributed in the 1860s to French officers by the military theorist Ardant duPicq concluded that firing harmlessly into the air was a common tendency of soldiers in combat. But it seems that Americans in Vietnam had little hesitation to engage the enemy. Marshall himself conducted research similar to his WWII studies and concluded that much had changed since earlier conflicts with close to 100% of American infantrymen engaging the enemy during firefights in Vietnam. It seems likely that human beings are not natural killers of their fellow man. Maybe it takes increasingly effective tactical and impersonal mechanisms of warfare to compel the individual foot soldier to overcome this natural resistance and kill another human being, defined as his enemy.